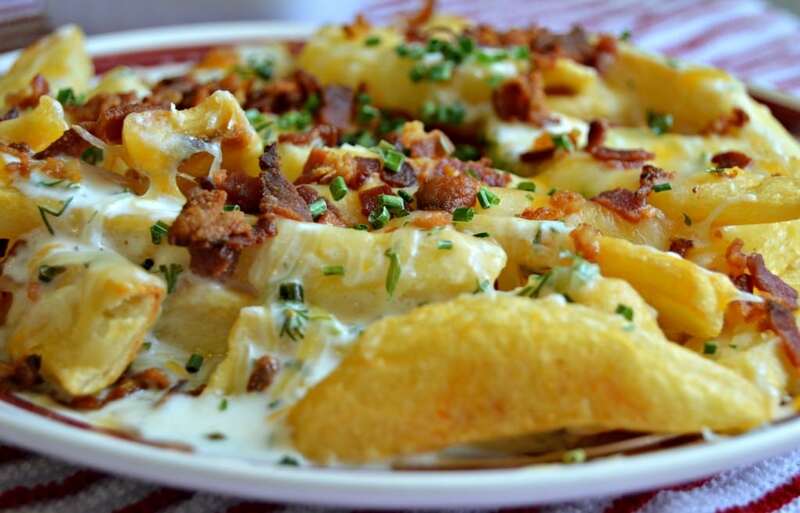 Loaded Fries with Bacon, Cheddar, and Ranch are perfect for game day or any other event. Para Español, Haz Click Aqui. 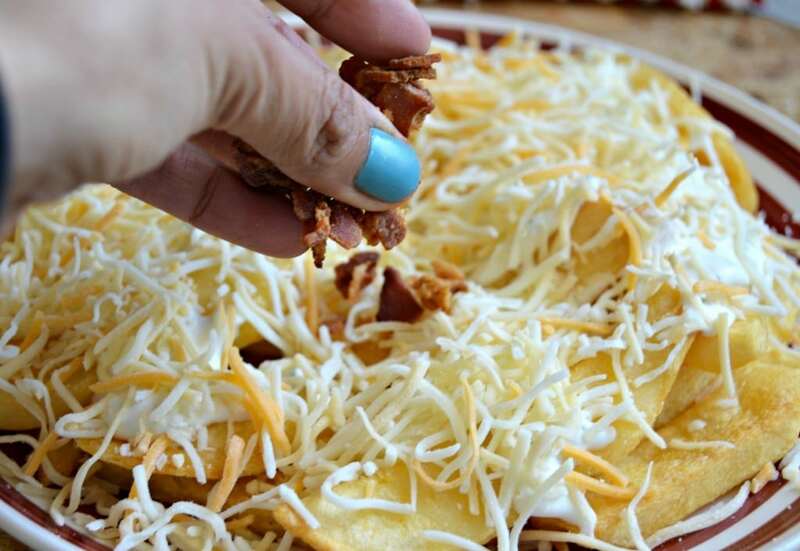 Loaded fries with bacon, cheddar, and ranch always make an appearance at our house when we are watching our favorites teams play. They are so easy to make and are delicious! 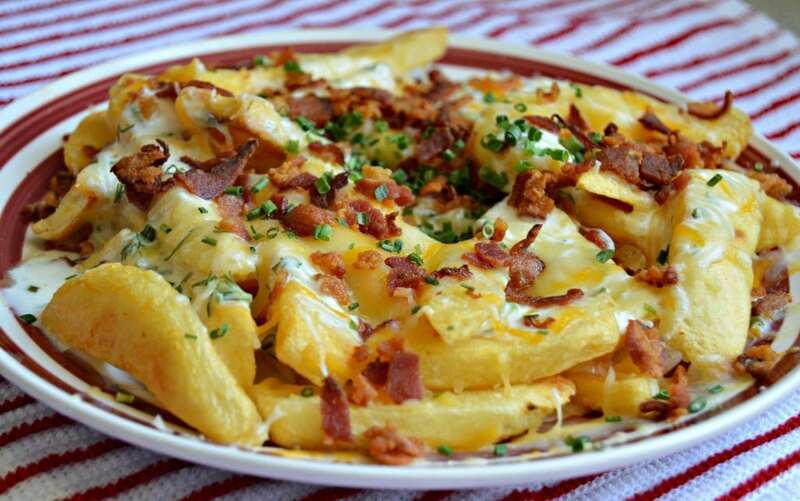 Loaded fries are classic game-time grub here in the United States. You can find them in many different restaurants and in many different varieties. The version that I am sharing today combines delicious bacon, cheddar cheese, and our creamy homemade ranch dressing. These are a great recipe when you decide at the last minute to throw a game-watching party. You can have them in the oven and ready to go in less than 30 minutes. I was always more of a soccer fan growing up in Mexico, but my dad is a big American football fan. Since moving to the United States, I have come to enjoy watching it with my husband as well – especially when we have delicious food and great company. 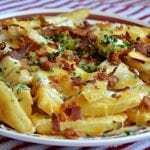 While these loaded fries are a hit for us during football season, you can enjoy them year-round. If you are looking for something different than the normal game time or party food, you should definitely try these! I make them on a regular basis and they are always a hit. One good thing about loaded fries is that you can always mix it up a bit. 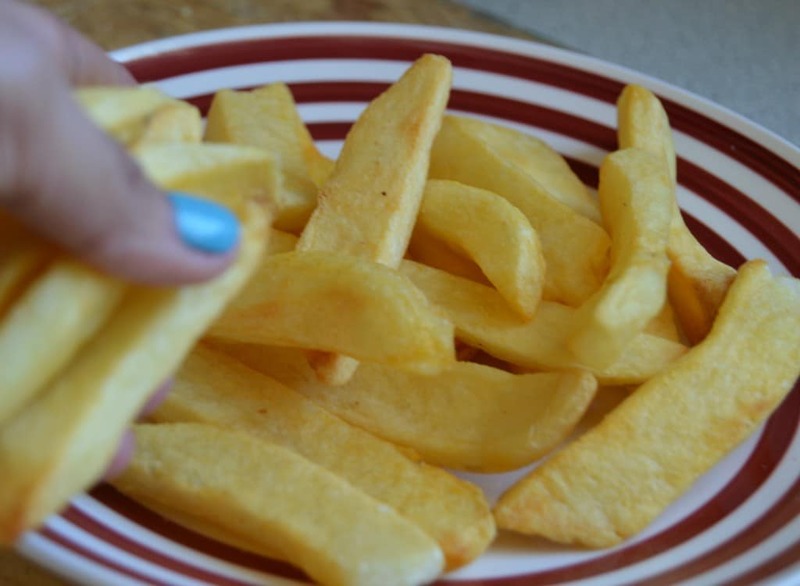 For example, you can make you own fries from scratch, or try adding some delicious chili con carne. Whatever you do, they won’t be on your plate long! Let me know in the comments how they turned out! Broil on high in your oven for 1-2 minutes or until the cheese is completely melted, being careful not to burn the French fries. Remove from the oven and add the green onions. « LALA Yogurt Smoothies – A Favorite From My Youth! This reminds me of the French Canadian Poutine except poutine has pot cheese melted over the french fries with gravy. Sounds weird but truly delicious. I’m going to try it very soon. The fries look divine and Amy is right, gravy is really good on fries, even with cheese!! !